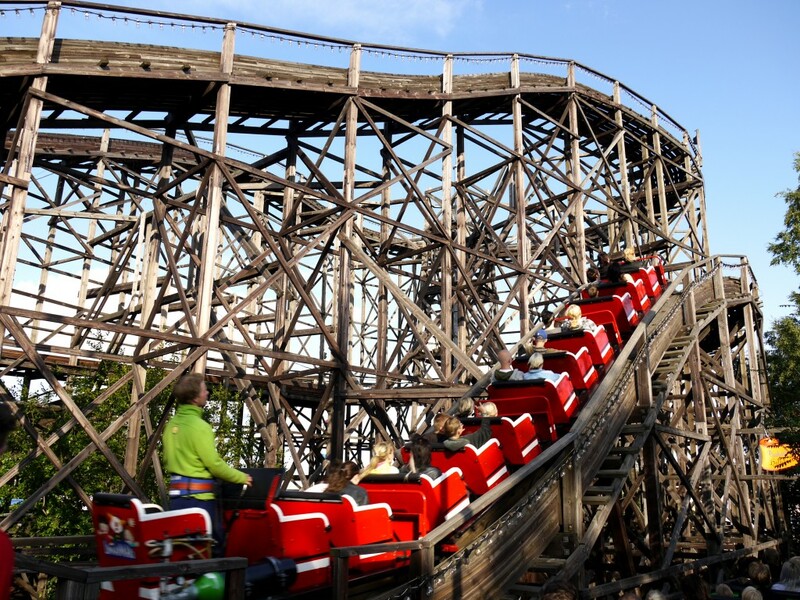 In the second part of our Family Vacations in Finland series we introduce six of the best Amusement Parks in Finland. 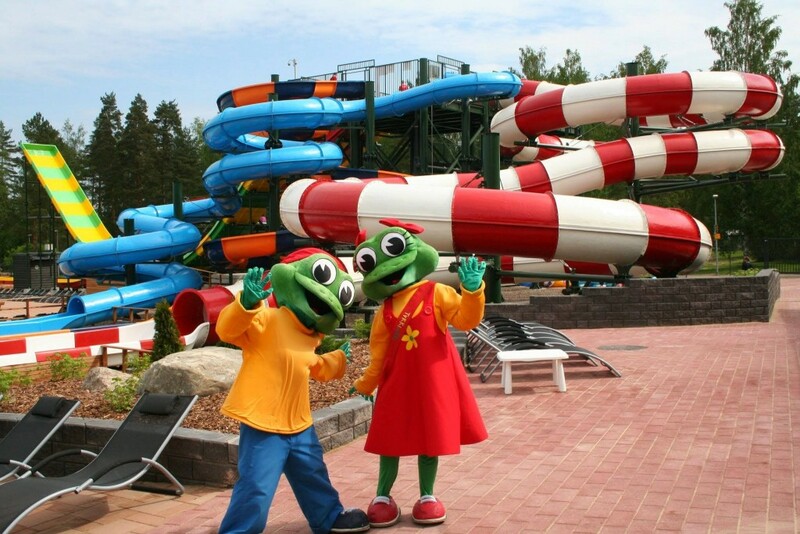 They vary from those situated in big cities like Linnanmäki in Helsinki and Särkänniemi in Tampere, which operate exclusively as day attractions, to resorts like Tykkimäki and Visulahti which provide all-inclusive family vacation options that includes various types of accommodation as well as access to the fun parks. 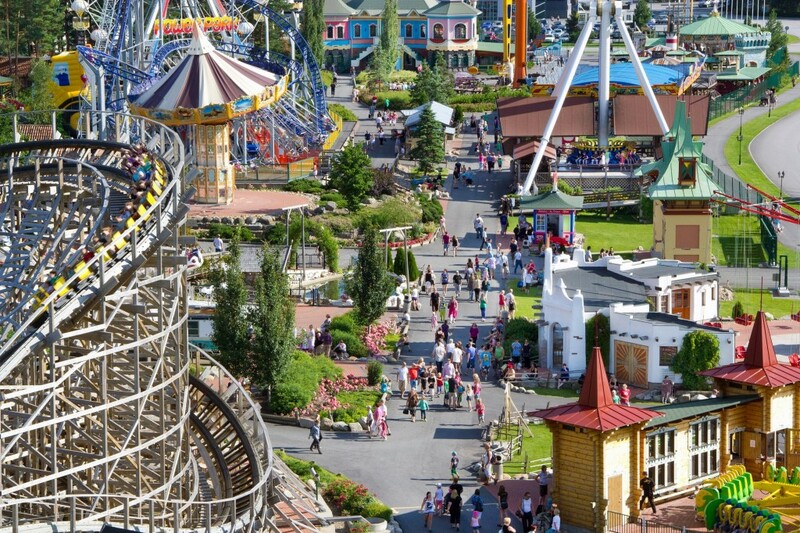 Whether you’re planning a long or short family vacation in Finland, these excellent Amusement Parks are an ideal way of keeping everyone in the family happy. 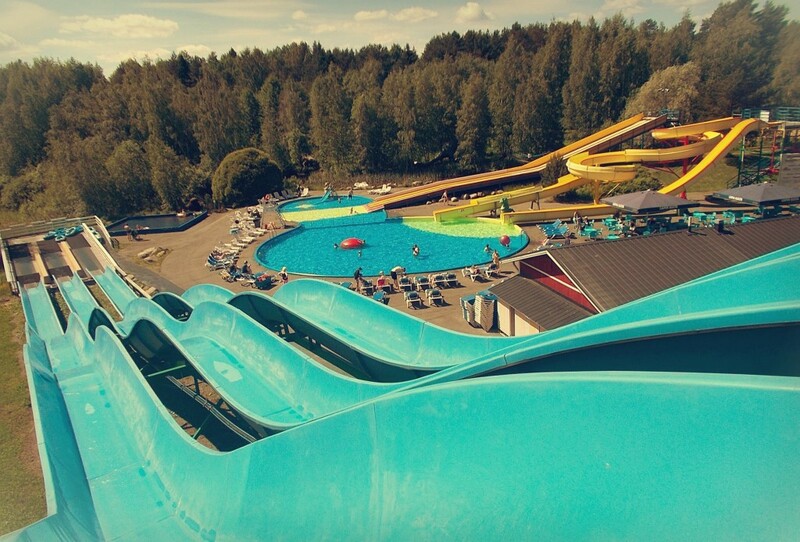 In part thanks to its location in the Finnish capital, Linnanmäki is the most popular amusement park in Finland, and also the biggest. Opened in 1950, there are currently over 40 rides in the park, including 8 different roller-coasters and 14 major rides. If you have smaller children in your party don’t worry, there are 11 kiddie rides available, most of which are free, and another 10 family rides. Linnanmäki also has many arcade halls with the latest games as well as an outdoor stage presenting entertaining performances from some of the biggest names in the Finnish music scene. You can also enjoy the best view of Helsinki by going to the top of the Panorama sightseeing tower, which is also free. By far the most popular ride in the park is the wooden roller-coaster Vuoristorata, which opened in 1951. Today it has become an instantly recognisable symbol of Linnanmäki, beloved of people from all over Finland. One of the oldest rides in the park, it is one of only seven in the world to still be operated by a brakeman, and is one of the very few roller-coasters to have been awarded the classic status by the American Coaster Enthusiasts club. It’s hardly a wonder that Vuoristorata has been the most popular ride in Linnanmäki every year since 1951! Other notable rides are Karuselli, which holds the distinction of being the oldest in the park – it was built in 1896; Kirnu, which is the first compact 4D roller-coaster, and the first 4D roller-coaster in Europe; Ukko, the tallest and fastest roller-coaster in Finland; and Linnunrata, the only indoor roller-coaster in Finland, built inside an old water reservoir. With so much to do, and so much energy expended (mostly screaming! ), families will find they have healthy appetites in Linnanmäki. No problem, there are no less than six restaurants within the grounds, with three fine cafés, and another eight kiosks and booths selling all the usual fairground fare like candy-floss, ice-cream, licorice strings, and slushies. Admission to the park is free, as are most of the kiddie rides and the Panorama Tower. To use the rides visitors have a number of options, the best of which is the wristband which gives access to all the rides for the whole day. Visitors can elect to pay another supplement on the wristband near the end of the day which gives them the same access for the following day, for a pittance. Also, an extra supplement paid will give access to the Sea Life Centre that is adjacent to the park. Linnanmäki also contains the Peacock-teatteri, a theatre known for its musical productions, which hosts a number of concerts throughout the season. 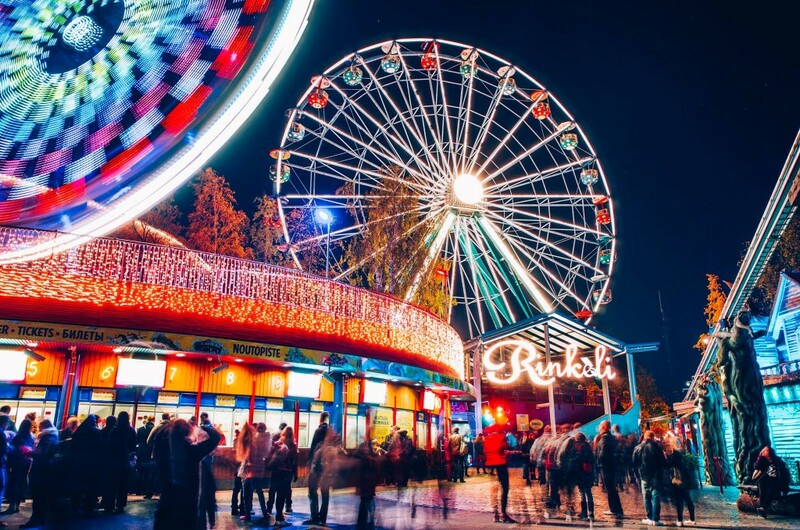 Another highlight of the Linnanmäki year comes in autumn before the park closes for the winter, when it hosts its Festival of Light. Located just a kilometre from Tampere centre, Särkänniemi is Finland’s second most popular, and second biggest, Amusement Park. It opened in 1973, and today it features an aquarium, a children’s zoo, an art museum, and an observation tower in addition to a plethora of rides and amusements. 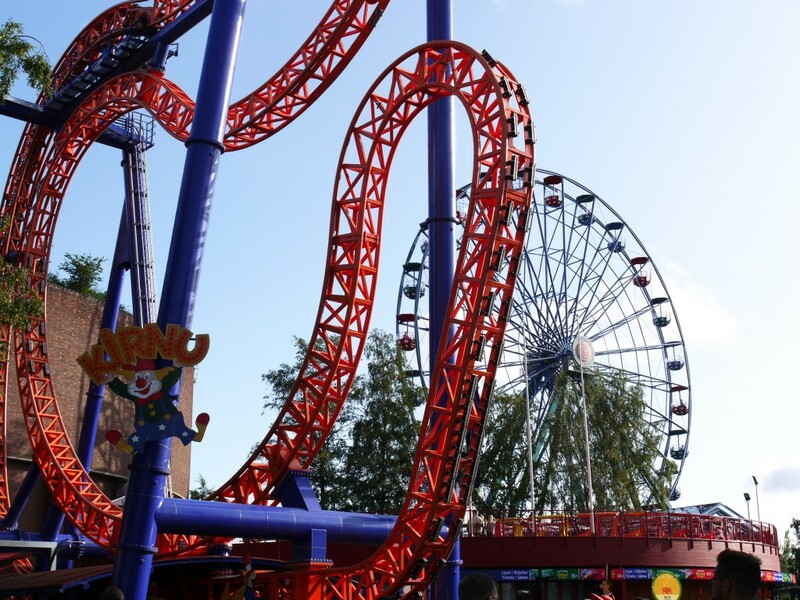 There are 5 roller-coasters in Särkänniemi, as well as 3 water rides, 10 major rides, and 20 kiddie rides, as well as the dedicated Angry Birds Land. The roller-coasters are the inverted Tornado, the flying coaster Trombi, the MotoGee, the Half-Pipe, and the family coaster Vauhtimato. Särkänniemi’s Aquarium opened in 1969 and has a total combined volume of 550,000 litres. It is home to over 3,000 animals covering 200 species, with the lower floor including a mangrove swamp habitat that is home to rainbow sharks, blowfish, gourami, monos, and archer fish. The nearby Children’s Zoo has over 30 different species on show, while those with more cultured tastes should visit the acclaimed Sara Hildén Art Museum which hosts exhibitions of Finnish contemporary art. Tampere’s iconic Näsinneula Observation Tower is the second tallest in the Nordic countries, standing 168m tall. It opened in 1971, and boasts a marvelous revolving restaurant at the top. There are a total of five restaurants in Särkänniemi, as well as five cafés, five fast food booths, plus numerous delicacy kiosks that sell sweets, soft ice cream, candy floss, slush, popcorn and other amusement park delicacies. 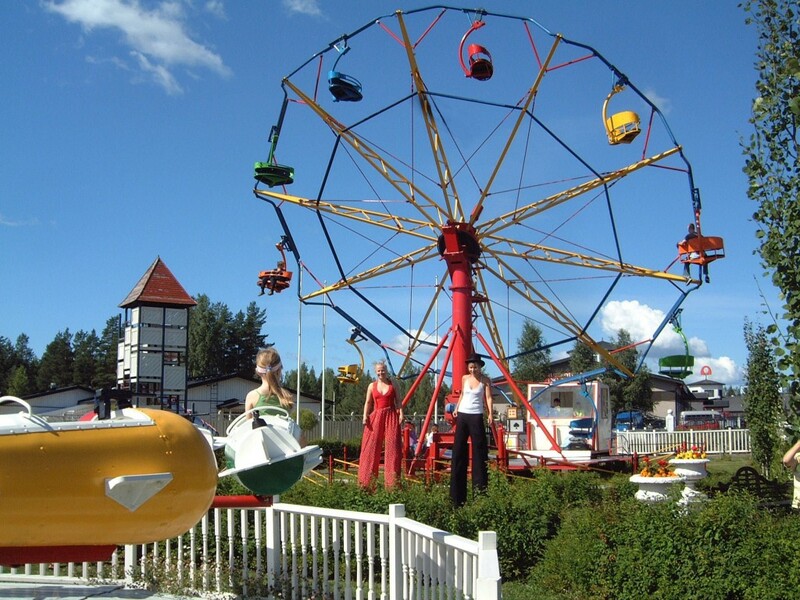 Tykkimäki Amusement Park is situated in a beautiful natural environment just 4 km from the town of Kouvola in Northern Kymenlaakso, Southeast Finland. There are around 40 rides and games in the park itself, as well as a separate Aqua Park, the Atreenalin Rope Trail, an Animal Farm, an Upsy-Daisy indoor pavilion for kids, and a children’s Adventure Playground. 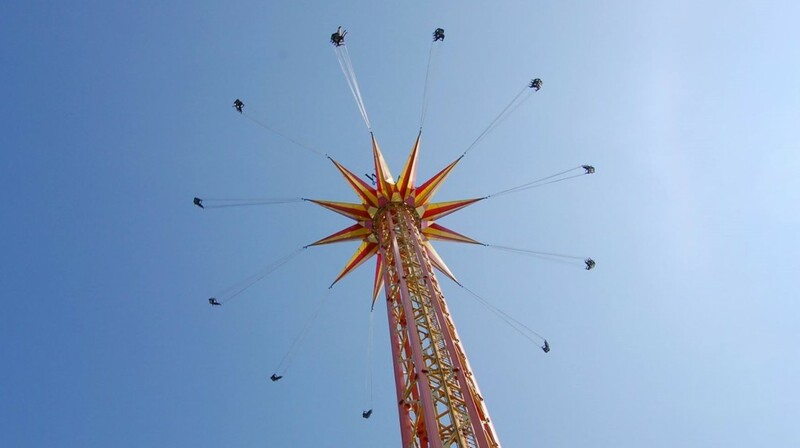 Among the great rides provided at Tykkimäki are the 72m high Star Flyer which reaches speeds of up to 70km per hour, and the Loop Fighter which can exert up to 4.5 Gs of force when spinning! Other notable rides are Trombi, Talfun, Skyride, the Orient Express, and the Kusti Track. There is also a new attraction for this summer, the Cinema 5D! Visitors can test their agility on the Atreenalin Rope Trail, where four different trails offer a challenge to all climbers, large and small. Safety harnesses and helmets are provided, and fitted by experienced staff who also give instructions on how to best complete the trails, at all times monitoring the progress of climbers, and always there to provide reassurance and assistance should anyone get into difficulty. Adventure Land is a play area for children with swings and climbing frames. Two tunnel slides start from the top of the high adventure tower, and there is also a climbing frame with slides especially for younger children. The location next to Kusti-Burger also offers a good place for adults to take a break. There is also the Upsy Daisy Kids’ Pavilion with two sections, one for smaller kids and one for bigger kids, with a three-level climber complete with swirl and wave slides, a ball pit, a tube slide, and a play area with several trampolines and bouncy castles. 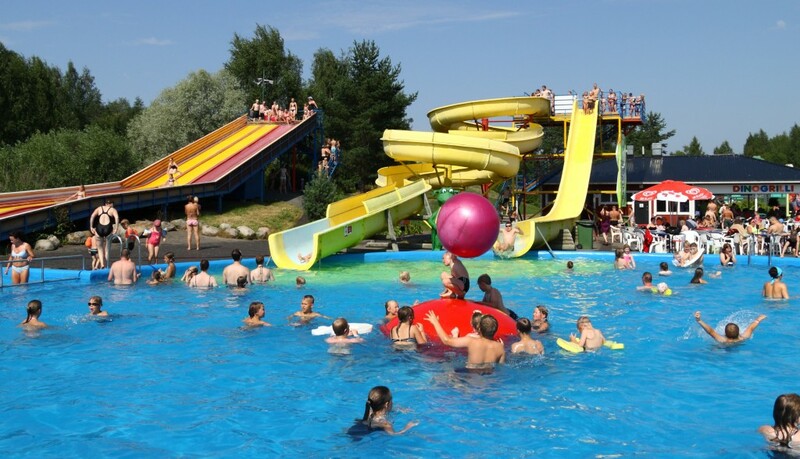 Aquapark offers super-fun water slides, water play pools and a 25m swimming pool for serious swimmers. For freshening up, there are sauna facilities and changing rooms as well as a restaurant area with a large terrace. Five large water slides start from the top of the tower. The youngest in the family will have fun at the Spray Park pool, where fountains, slides and water cannons add spice to water games, and an adventure area called Floating Rocks. Top Finnish performers entertain visitors at evening concerts all summer long on the Amusement Park’s own Entertainment Stage. The concerts begin at 8pm and are open to all. There are three fast food restaurants in the park, as well as the Raveliini restaurant which provides a choice of a buffet or a la carte menu, two cafés, and numerous kiosks. Tykkimäki Camping is right beside a lake and Tykkimäki Amusement Park. It has excellent service facilities, rental cottages that suit families of all sizes, great caravan slots and beautiful spots for tents. 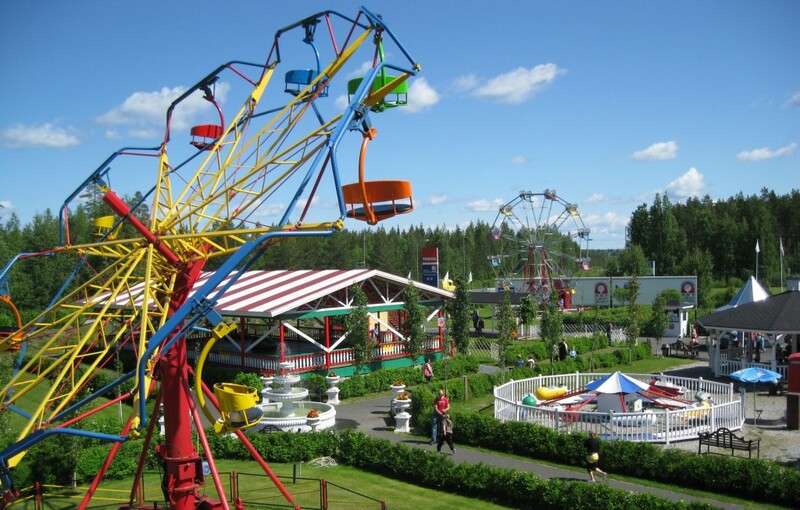 Located approximately 55km due north of Seinäjoki, PowerPark is a large scale Amusement Park and karting centre in Alahärmä, Southern Ostrobothnia. Famous for its main karting track which was designed by F1 driver Mika Salo to resemble a genuine Formula 1 Grand Prix circuit, PowePark also boasts the largest indoor karting track in Europe, covering a hectare. A fully developed resort, PowerPark also contains a large hotel, cottage rentals, and a highly equipped camping area. The PowerPark Amusement Park has 16 major rides, 8 family rides, and 12 kiddie rides, as well as the separate Wonderland area. 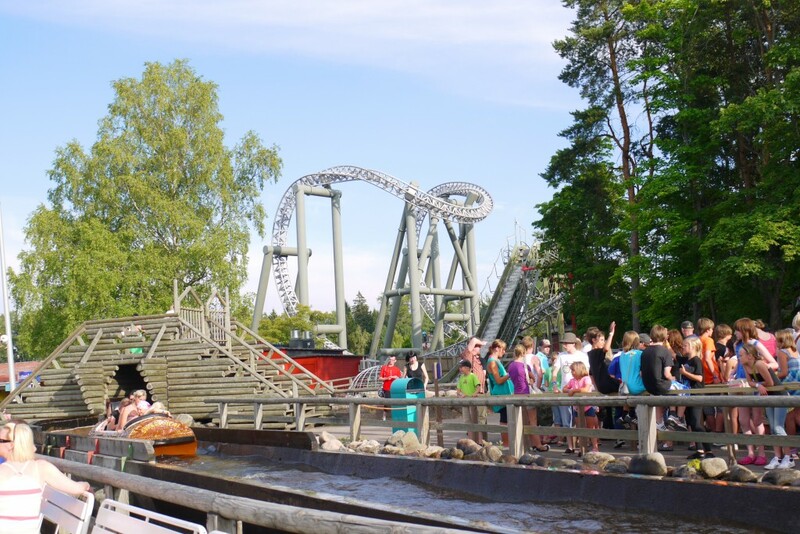 The major rides include the 400m long water roller-coaster, Kwai River, with a 14m drop at the end; Booster, voted one of the scariest rides in Finland, achieving speeds of up to 100km per hour; the pendulous Typhoon; and the thrilling and unpredictable Pegasus. There are four roller-coasters, the Cobra, Joyride, Thunderbird, and Neo’s Twister. Wonderland is dedicated to smaller guests, but both kids and adults alike can enjoy becoming part of a fairy tale. It includes Rölli Village, home to a Finnish fairy tale troll, with a river flowing through it and full of fantastical buildings. There are also some interesting Rölli-style gadgets and gizmos, which guarantee moments of joy for the smallest guests. From there guests pass on to Kidius Farm, which introduces the daily life of a dairy farm in many amusing ways, with characters like Herra Sikasiisti, Lempi Lyydia, Jori Pollea and Tytti Vilu-Kylmänen. The main attraction though has to be the massive outdoor go-kart track, which is considered to be one of the most beautiful in the world, and is of such quality that it has hosted European and World Championship races! Only barely outdone by its bigger, outdoors brother is the PowerPalace. This indoor go-kart circuit is 600m long, and features demanding curves and corners, supercharged straights, and presents plenty of challenges to both experienced and newbie racers. The electric go-karts are quiet and easy to handle, while an effective air conditioning system ensures a pleasant experience for all drivers. PowerPark’s Equestrian Centre was opened in 2008, and is located just 1.5km from the Amusement Park in a delightful mansion-like milieu. The Equestrian Centre provides riding lessons, camps and horse trekking. The horses are well-mannered and gentle Icelandic horses. 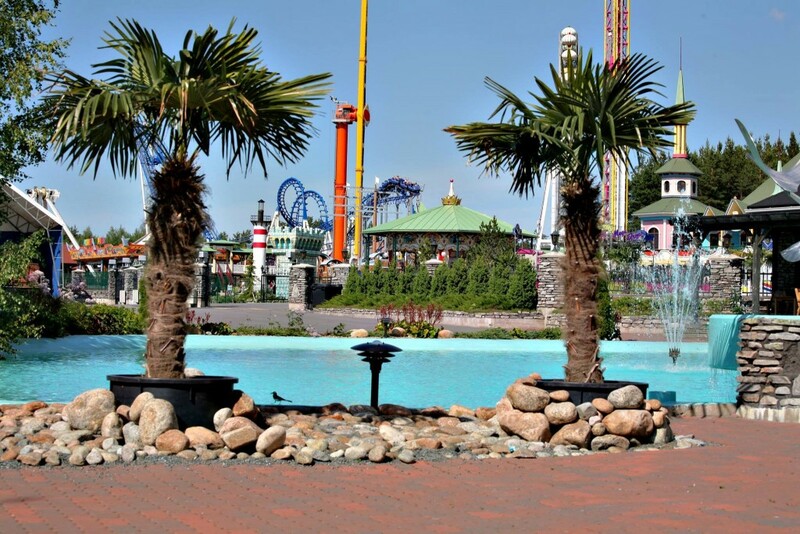 Within the PowerPark Amusement Park you’ll find the Park Hotel Härmä Restaurant, the Skaala Restaurant, the Canyon Steak House, Kwai Bridge Restaurant, the Terrace Restaurant Crocodile Pool, and 5 cafés. Visulahti is a large family vacation resort located on the shores of the gorgeous Lake Saimaa near Mikkeli. 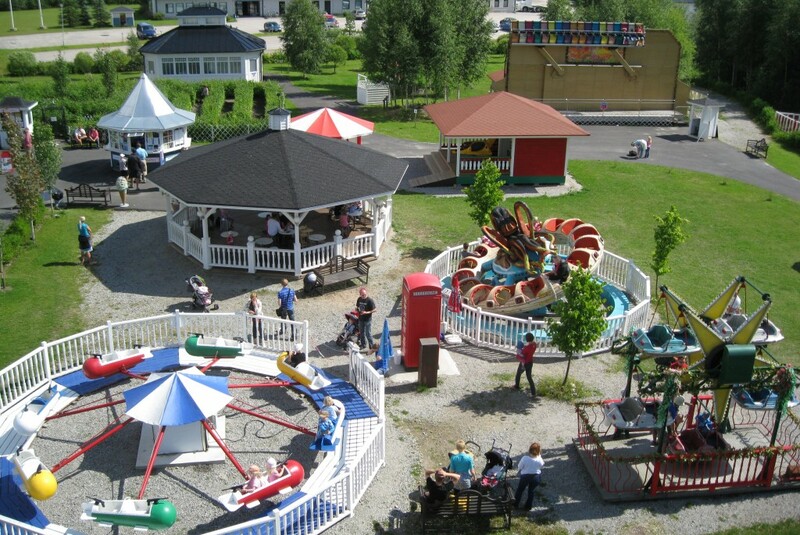 The resort features the Dinosauria area, which is a mix of a water park and adventure playground, the HyperDino indoor children’s pavilion, the Visulahti Wax Museum, the Xon Park activity centre, as well as facilities to play mini-golf, tennis, frisbee golf, beach soccer, volleyball and other games. The main attraction is the Dinosauria area, which provides thrilling adventures for explorers of all ages. There is a heated swimming pool complete with water slides, while the Dino Fossil will keep budding archaeologists busy for hours. There are bouncy hills and castles, slides, a roundabout, a maze and Dino Island with a moat to ensure that there is never a dull moment, not forgetting the softball cannons of Battle Station Rex. Visulahti‘s new indoor playing area, HyperDino, is aimed for children under 12. In HyperDino’s space-themed adventure park, children can safely test their skills in climbing, bouncing and sliding. In the Wax Cabinet their are over 80 characters: presidents, cultural figures, celebs, sportsmen, fairy tale characters and – of course – Santa Claus. Xon-Park is full of action in safe surroundings. 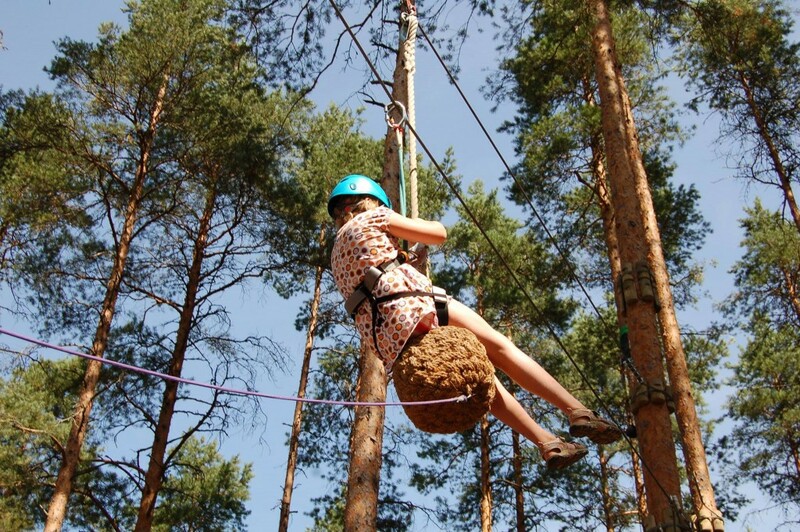 There are a wide range of exciting activities including bungee jumping, paintball, go-kart tracks, a giant swing, sumo wrestling, a bag jump, ATV safaris and even snowmobiles! 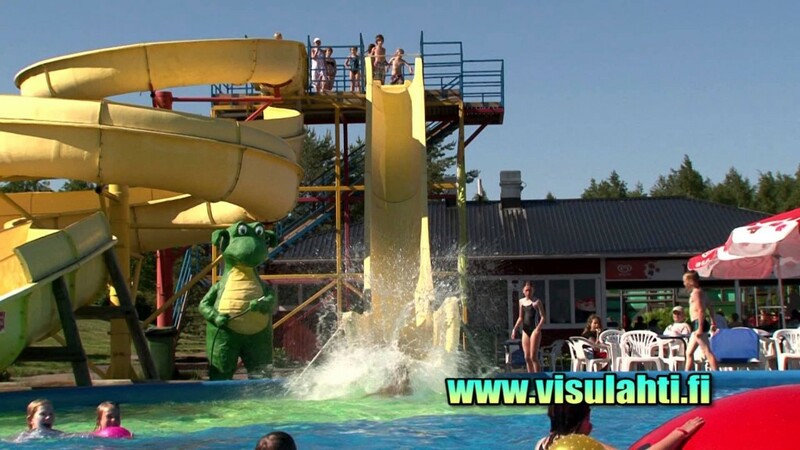 Visulahti provides a perfect camping site for family vacations. There are 400 camping places, 200 of which have electricity. Visulahti also has 30 holiday bungalows of hotel standard. These are available all year round and have all essential amenities; the biggest have their own sauna! 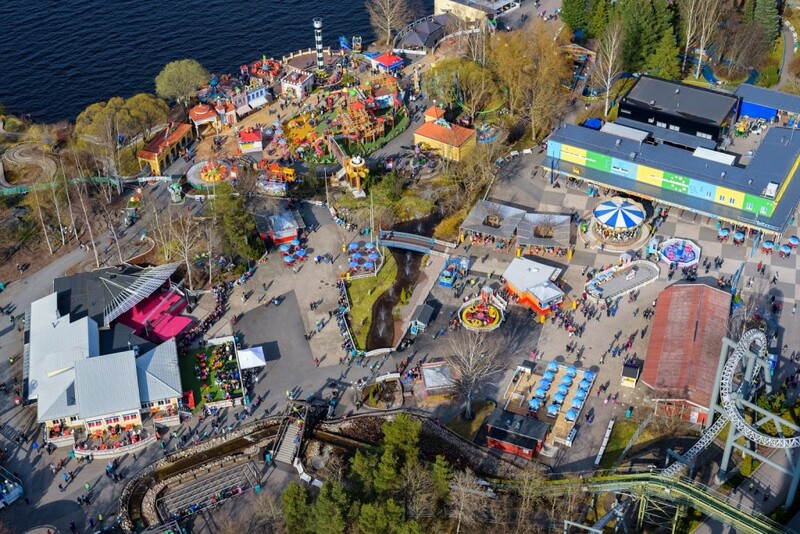 Located less than 30km east of Jyväskylä, Nokkakivi is the newest Amusement Park in Finland, having only opened in 2007. It is also somewhat novel in that it is the brainchild, dream even, of one family, which helps in no small part to imbue it with a particularly friendly ambiance. Upon opening it became particularly popular among families with small kids, thanks to the traditional and at times nostalgic atmosphere. It hasn’t hurt that it also operates with very moderate prices, provides rides suitable for the whole family, and is blessed with ample gardens. Nokkakivi Park contains 17 rides and attractions, the only full size hedge maze in Finland, a free lamb farm and free play area for the children. The park is beautifully landscaped, containing Victorian style buildings, inspired by the golden age of amusement parks in the early 1900’s. About half of the rides are proudly imported from the USA, and half of the rides are suitable for the kids without an accompanying adult. The queues are generally light even during the peak times, so waiting times are short. Circus World is an arcade game museum, where all the vintage arcade games can be played without any extra charge. In short, if you are on a family vacation in Finland and happen to be near Jyväskylä, you won’t be disappointed with a visit to Nokkakivi.